Back in 2015, Life is Strange wowed people with its Twin Peaks-inspired story, superb cast of characters and atmosphere. The game was also a best-seller, shifting millions of copies worldwide. So it’s not surprising that publisher Square Enix commissioned a prequel to the original episodic game, titled Life is Strange: Before the Storm, the third and last episode of which came out last December. However, developer Deck Nine (who took over from DontNod Entertainment for the Life is Strange prequel) announced a bonus episode of Life is Strange: Before the Storm would be released in early 2018, and is now available for owners of the game’s Deluxe Edition. And thankfully this extra episode is another great slice of Life is Strange, which as you might expect is heavy on the nostalgia, while also telling a self-contained story and offering plenty of fan service to boot. As stated earlier, this bonus episode (titled “Farewell”) is independent from Life is Strange: Before the Storm’s main plot, which was set before the events of the original 2015 Life is Strange game. Actually, this extra episode rewinds the clock even further and tells of Max’s and Chloe’s final day together in the quaint, Midwestern town of Arcadia Bay, which Life is Strange fans surely know pretty well by now. Those hoping to see more of Arcadia Bay in this bonus episode will be disappointed though, as the whole thing takes place in Chloe’s house, and just involves these two girls (only another familiar character from the series pops up at the end). 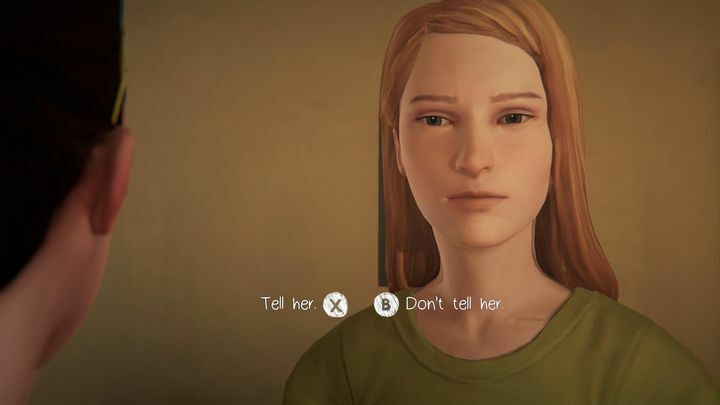 However, unlike the three main Life is Strange: Before the Storm episodes which put you in control of rebellious teenager Chloe, Max is once again the protagonist here. And fans of the series will no doubt be happy to know that Ashly Burch is voicing Chloe in this bonus episode, after she was absent from the earlier episodes of Before the Storm due to a voice actors’ strike last year. Believe or not, Max (right) and Chloe don’t actually get in trouble in this bonus episode of Life is Strange: Before the Storm. Like in the first season of Life is Strange, Burch is great here, bringing the character to life with gusto, and it sure is a delight to listen to her interacting with actress Hannah Rebecca Telle, who plays Max as was the case in Life is Strange’s first season. Also, like in the earlier episodes, there are no mind-bending puzzles to tax your wit here, and obviously Max doesn’t have the time-rewinding powers she did in the 2015 game either. 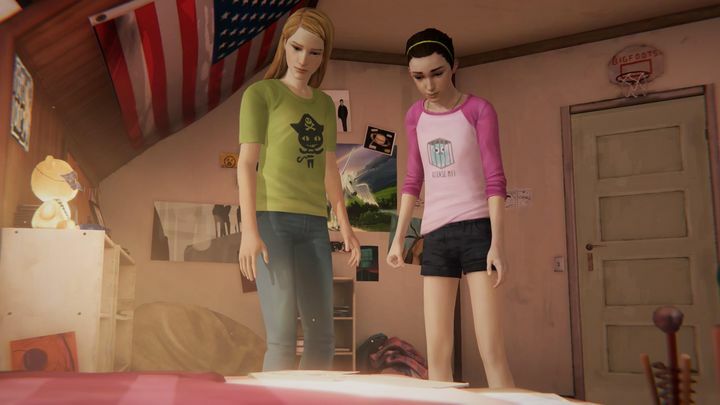 And being the exercise in nostalgia this episode is, you will spend most of your time looking at items from Max’s and Chloe’s childhood, and hear Max’s thoughts about these and the past she’s leaving behind. You see, Max is leaving Arcadia Bay for good and will soon be starting a new life in Seattle, and a major plot point here is how long you postpone telling Chloe about this (or even choose not to tell her at all). 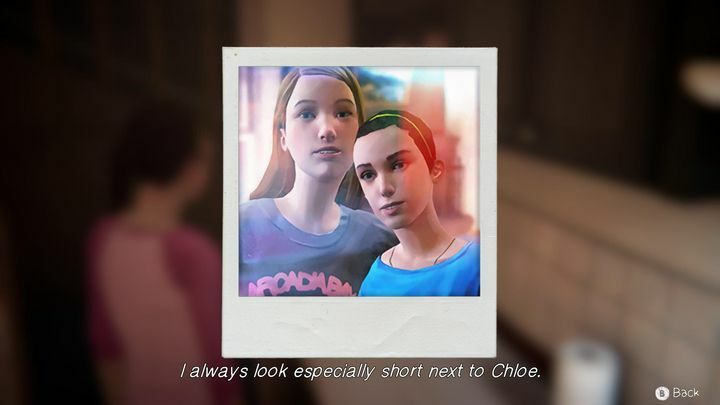 And it sure is rewarding (and emotionally moving too) to hear Max reminiscing of her time together with Chloe in her home, while this also sheds new light on these girls’ relationship. Also, despite the fact the whole episode takes place in one location, developer Deck Nine has bothered to show us some areas of the Price home we hadn’t seen before in previous episodes. These include the attic, which you get to after solving a basic fetch quest puzzle. The solution to this is pretty obvious, while Max constantly reminds you of what you’ve got to do in order to proceed and gives hints too, so there’s little chance you’ll get stuck. Playing as Max, you have to locate an item in the attic. You do this by pushing furniture out of the way, and there sure are quite a few objects to get out of the way here… This briefly reminded me of Revolution’s 2003 Broken Sword game which featured a ton of crate-pushing puzzles (and was criticized for this back in the day), even if this bit in this Life is Strange: Before the Storm bonus episode is still fun. Remembering the good old times. You also get a chance to listen to more nostalgic dialogue here (“I remember being terrified of this place”, says Max of the attic), and have the option of grabbing some pirate gear for Max (something I missed on my first playthrough) which sure is cool. There’s also the house’s backyard, where Max and Chloe used to play pirates when they were kids. 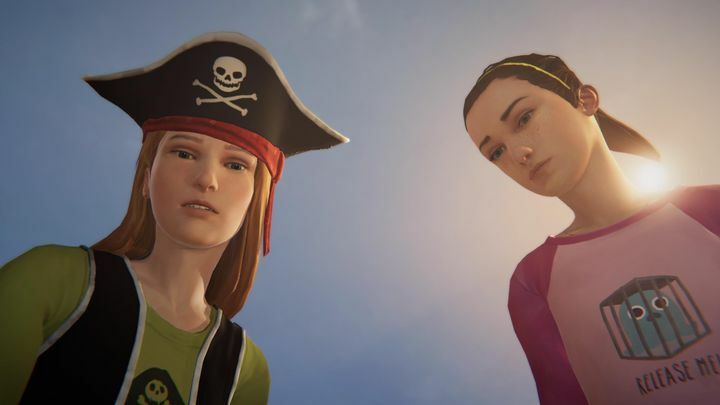 And if to remind you that this episode is all about nostalgia and Max and Chloe revelling in their past experiences, at some point in the episode you get to unearth a time capsule in the backyard, full of objects these girls left behind for their future selves. The game obviously wastes no time in prompting you to inspect these (“I want to look at everything”, Max herself says at some point), and it sure is heart-warming to listen to what this teenage girl has to say about the pair’s childhood treasures, such as a cute toy named “Billy the Squid”. Regarding the ending of this episode, I really was hoping for an upbeat finale here, this being a bonus episode and all, but this is never the case in Life is Strange it seems. In the 2015 season’s ending, you had the choice of allowing a natural disaster to wipe out Arcadia Bay or sacrificing Max’s closest friend – neither option leading to a “good” ending. And in Life is Strange’s episode three, lying to Chloe’s best friend Rachel was the only way to get something resembling an upbeat ending. Here it’s no different, and things end on a sour note for Chloe regardless of whether you choose to reveal the truth to her throughout the episode or not. It’s also interesting how you learn via an email that Chloe is already getting in trouble at Blackwell Academy, showing how she’s on her way to becoming the rebellious teen she’ll be in later episodes, an interesting bit of character building which I enjoyed in this episode. This bonus episode is also as good-looking as the three main episodes in this prequel, and every inch of Chloe’s home is rendered with exquisite detail, while the character models also look great. The music also adds to the episode’s nostalgic atmosphere, helping make this a great experience overall. And after playing through this episode I am definitely looking forward to DontNod Entertainment’s Life is Strange sequel, which is coming sometime next year. For the time being though, this bonus episode of Life is Strange: Before the Storm is icing on the cake in what no doubt has been a very good prequel to one of 2015’s top video games, and should keep fans happy until more Life is Strange comes our way in the future.